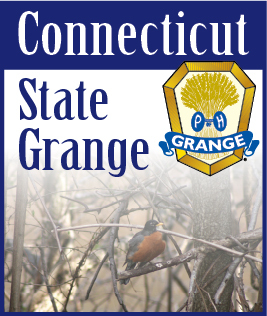 What did your Grange do for Grange Month? Did you invite the public to your hall and have a presentation on the importance of the Grange in your community? Did you have a program pointing out the advantages of being a Grange member? Is your Grange making a concerted effort to acquire new members? I hope that the answer is yes to some of these questions. On April 9th, the National Master visited our state and I am proud of the turn-out you made at that meeting. You filled Hemlock Grange Hall and were a very enthusiastic audience. For those of you that missed the meeting Brother Ed Luttrell spoke to us on the importance each one of us has to our own Community Grange and what we as officers are responsible for. It was a lively presentation interspersed with humor that drove his point across. The second part of the presentation was an explanation of what the National Grange agenda is and how it affects the Community Granges in the country. He gave us an understanding of what each department at National does and how they interact with Community Granges. He presented a pie chart on the finances of the National Grange and the importance of the Name Protection Program. From what he told us I realize what a terrific job the staff at National does. Many left with a better understanding and a renewed enthusiasm as to what we have to do to grow our Grange. So if you didn't do anything special for Grange Month you have a second chance. Everything I mentioned at the beginning of this article you can still do. So get together with your members and plan an event. You have the remainder of the year to do it. Find out what other Granges have done and what their results were and then do something special. When you see the positive results you will want to do it again and again. Now that the Pomona Inspections and Grange evaluations are in full gear, many Granges are looking for help at their meetings. If you are asked to lend a hand I hope your answer will be "I'd be delighted".